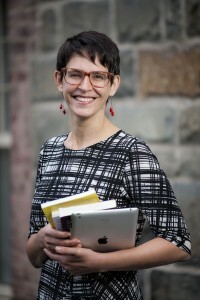 Kiersten’s current research takes up questions around policy, practice, and equity at the intersection of education technology and digital literacy. 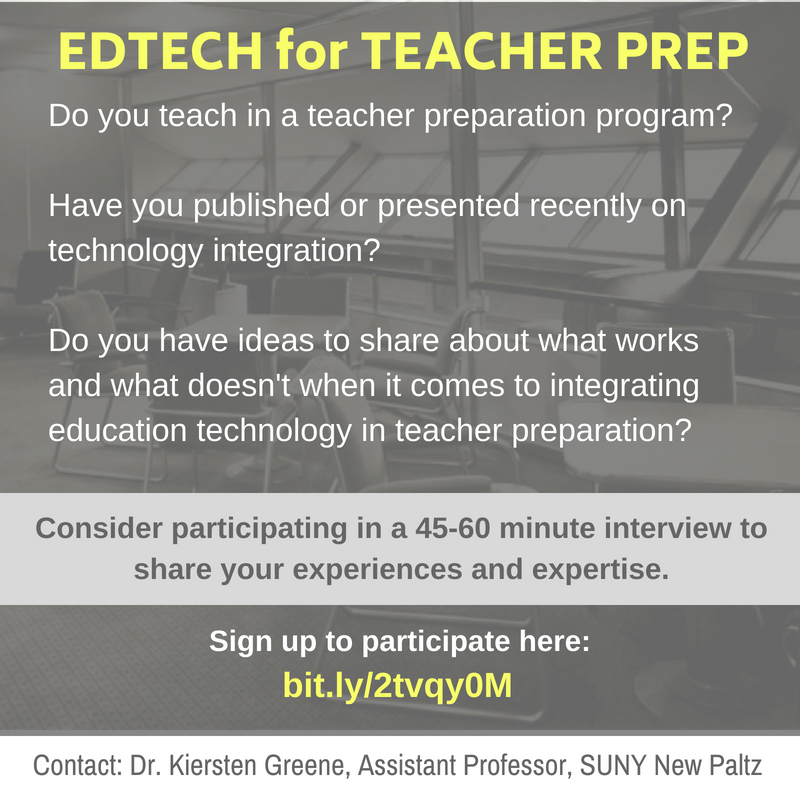 She is currently recruiting participants to interview for a research study on education technology integration in teacher preparation. Find out more and sign up at bit.ly/2tvqy0M. Smart Schools Bond Act: In 2014, New York State voted in the Smart Schools Bond Act, legislation that earmarked $2 billion of funding for updating public schools throughout the state for the 21st century. In order to claim allocated funds, school districts must develop a Smart Schools Investment Plan that outlines how the districts will spend funds and manage professional development. The policy funds hardware and infrastructure improvements, but not professional development. Last year, Kiersten piloted a differentiated professional development model, on demand and á la carte, in a local school district, in order to further understand possibilities for effective teacher training in these rapidly changing times. A forthcoming article in English Journal (expected in March 2018), “‘Smarting’ the schools smartly: Sustainable change or projectitis?” shares some initial findings from the study. Racism in Young Readers Series. In collaboration with a colleague, Dr. Caroline Hopenwasser, and two undergraduate students, Kimberly Roman and Alexa Reina, at SUNY New Paltz, Kiersten recently investigated the representation(s) of race, culture, and ethnicity in young readers series books. The team observed that the characters in most young readers series books, a prolific genre in many K-2 public school classrooms, are overwhelmingly white, and that representations of characters of color often follow stereotypes of historically marginalized and racialized groups. The team has conducted an in-depth content analysis of a representative sample of young readers series books in a local city school district. 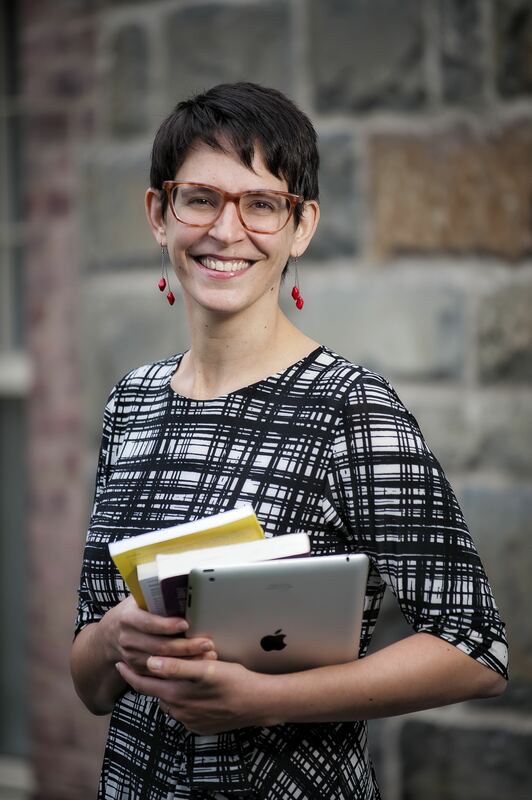 Kiersten recently published an article with co-author Dr. Caroline Hopenwasser, “Finding Characters of Color in Transitional Series Books,” in The Dragon Lode. In the article, we discuss initial findings, that point to inaccurate representations of children of color in local children’s book selections.